it is my version of aglio olio … the garlic is diced into small bits and fried in oil until golden coloured and fragant. per person i take two cloves of garlic. 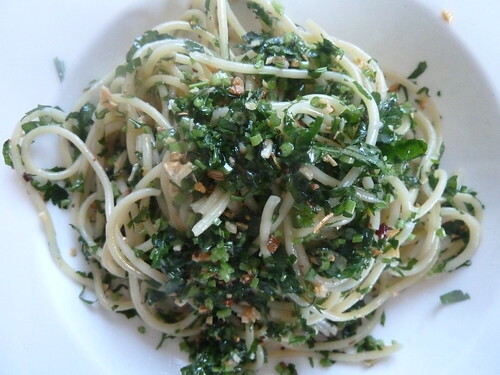 while preparing the pasta i finely slice a bunch of parsley (for 2). as soon as the pasta is ready i add the parsley, some chili, pepper, salt and butter to the fried garlic and mix everything.